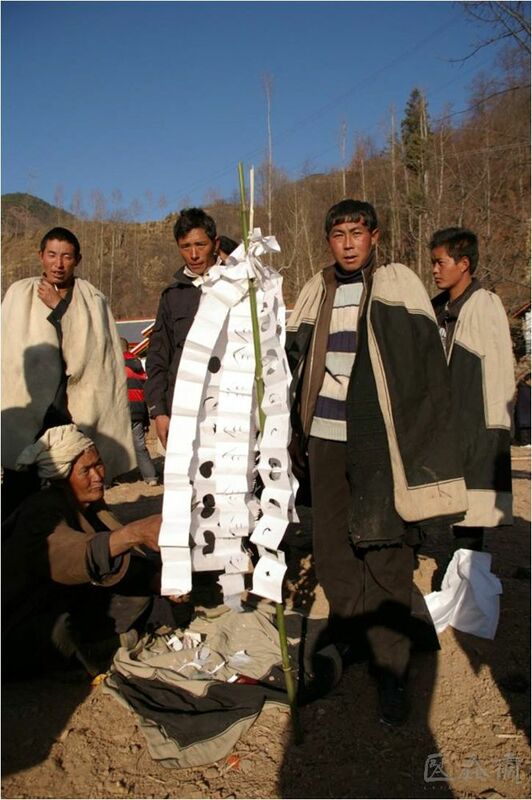 During the long agricultural years, traditional Chinese paper-cutting formed multi-ethnic cultural characteristics. 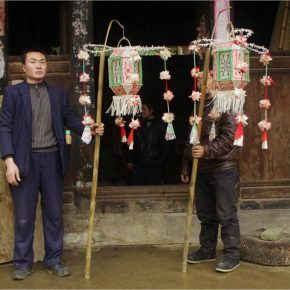 Ancient Chinese paper-cutting crafts could be used at a funeral or used as a religious sacrifice and is the pedigree of ornaments which greatly satisfied the needs of different ethnic beliefs. 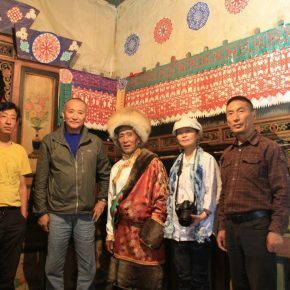 However, as part of the folk art, paper-cutting art has long been excluded from mainstream culture, resulting in a blurred cultural distribution and ecological appearance of Chinese folk paper-cutting art. 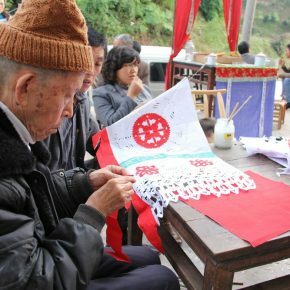 Not only that, influenced by the tide of globalization and urbanization, the living folk culture of paper-cutting has not been effectively inherited and it is endangered. 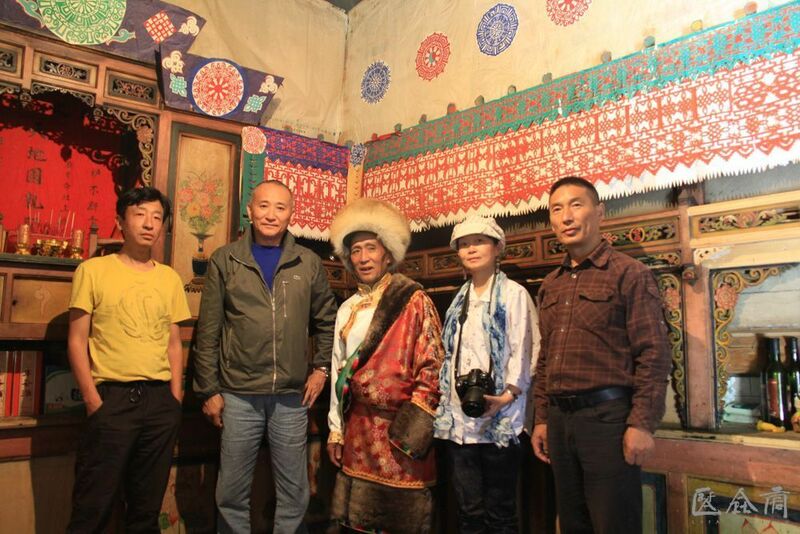 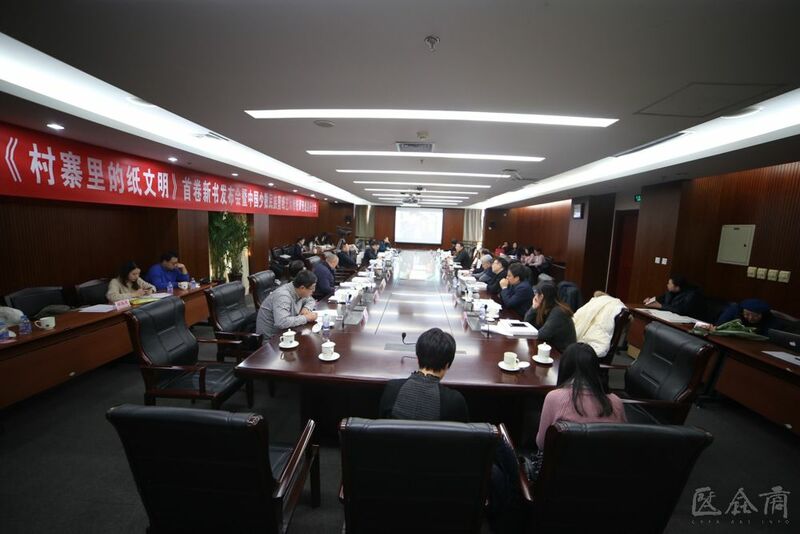 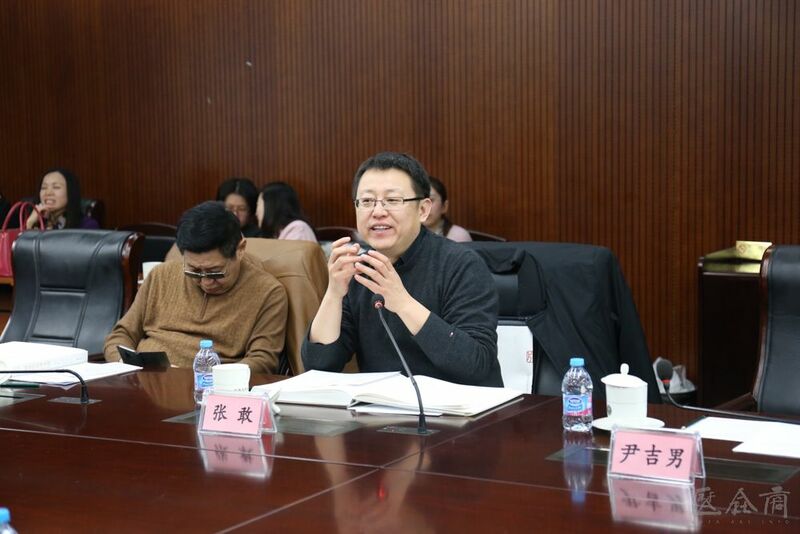 In this context, the third generation of paper-cutting scholars represented by Prof. Qiao Xiaoguang, former Head of the Center of Intangible Cultural Heritage, CAFA, together with a team investigated and researched the paper-cutting art of all ethnic groups. 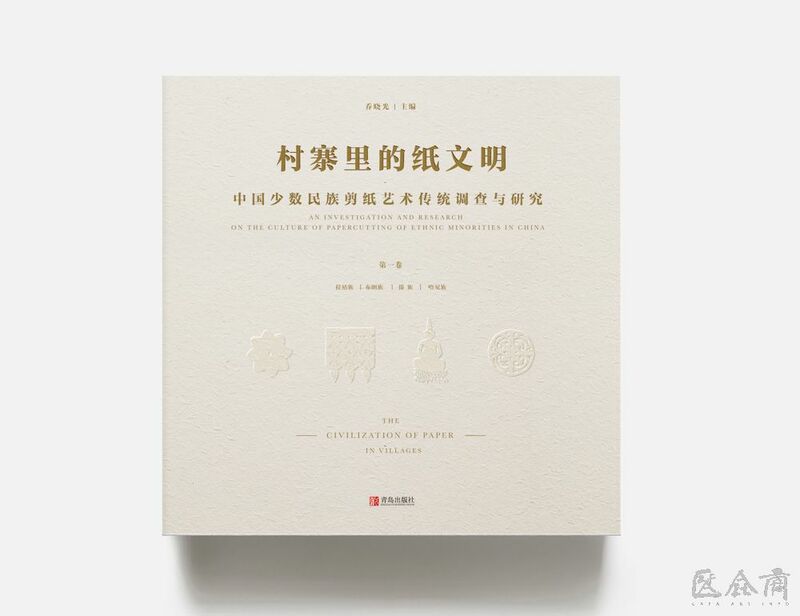 Their achievements were condensed into the book of “The Civilization of Paper in Villages” including eight volumes, which not only wholly sift through the multi-ethnic faces of paper-cuts, but also guide the investigation, research and protection of other types of folk art. 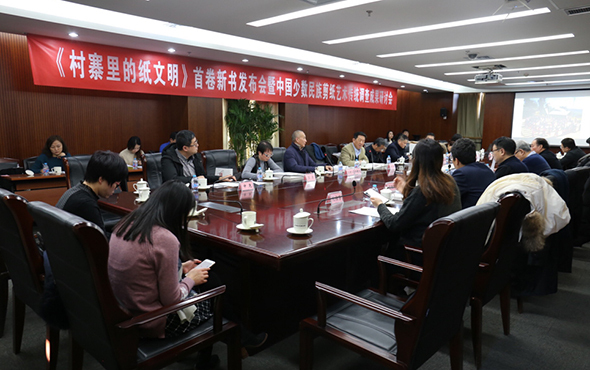 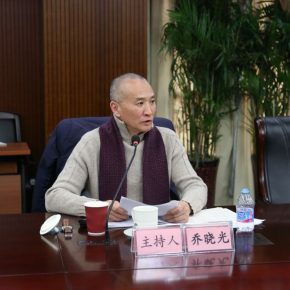 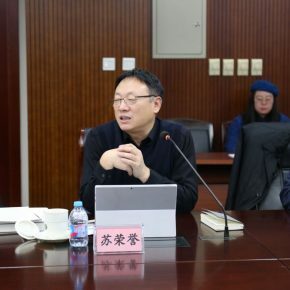 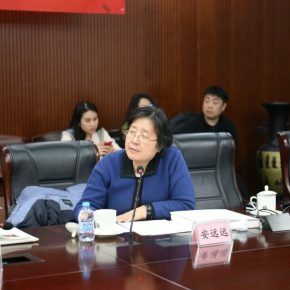 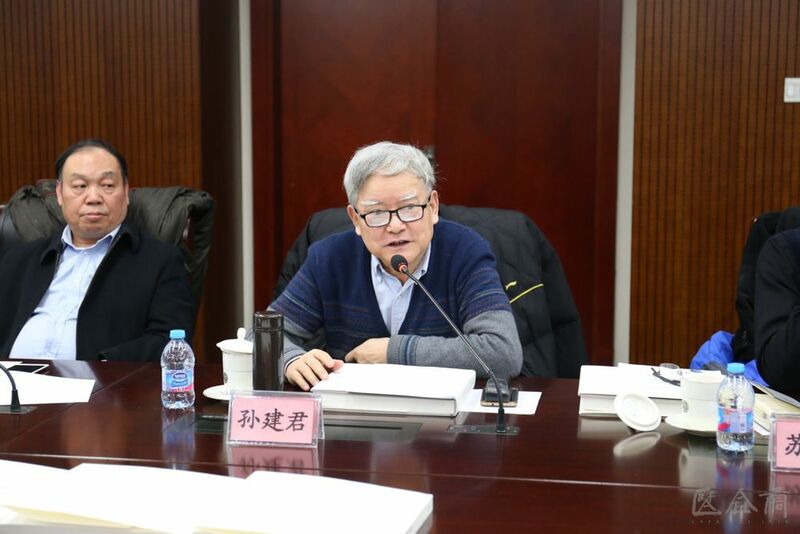 On the afternoon of January 23, 2018, hosted by China Literary and Art Critics Association, organized by the National Folk Art Committee of the China Literary and Art Critics Association, the book launched the first volume of “The Civilization of Paper in Villages” which was successfully held in China Federation of Literary and Art Circles. 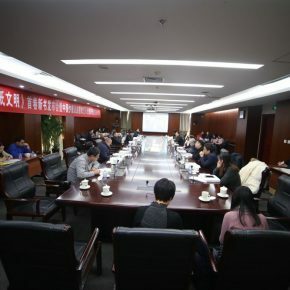 At the conference, experts and scholars from the literary and art circles highly praised the editing and publishing of the set from the perspectives of cultural development and self-confidence, national aesthetic tendencies and cultural psychological structure and the rescue and protection of the paper-cut, etc. 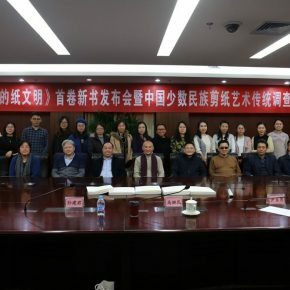 After the end of the conference, honored guests also had a discussion on the achievements and inheritance status of the traditional investigation project of ethnic paper-cutting art in China. 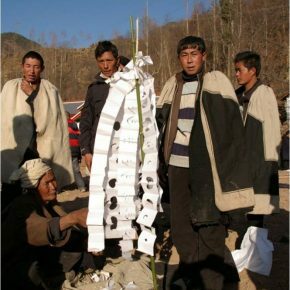 “The Civilization of Paper in Villages” is the achievement of “An Investigation and Research on the Culture of Papercutting of Ethnic Minorities in China (2009-2012)” (Project No. 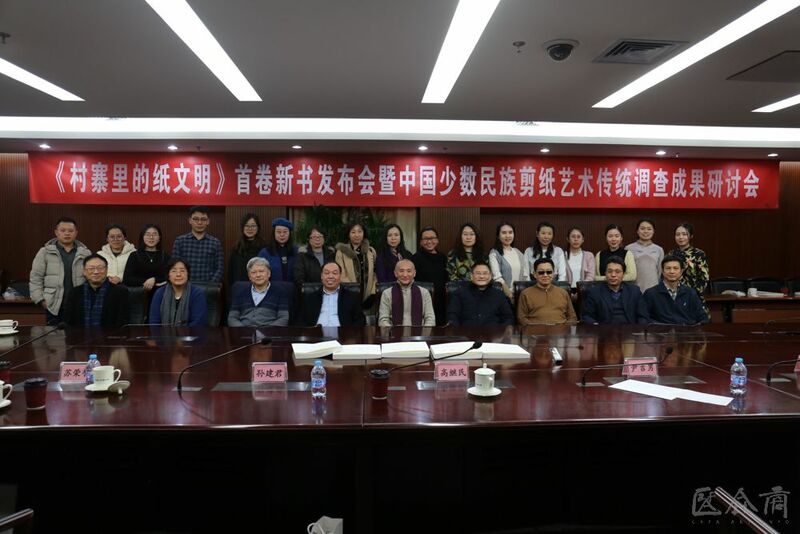 09AF006), a key project of the Arts by “The 11th Five-Year Plan” National Social Science Fund, and the Publicity Department, CCCPC, Masters of Culture & the “Four ‘First Batches’” talented people funded project. 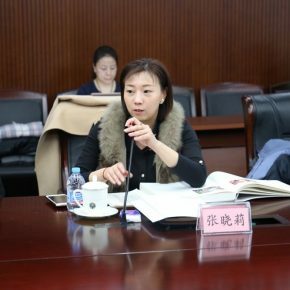 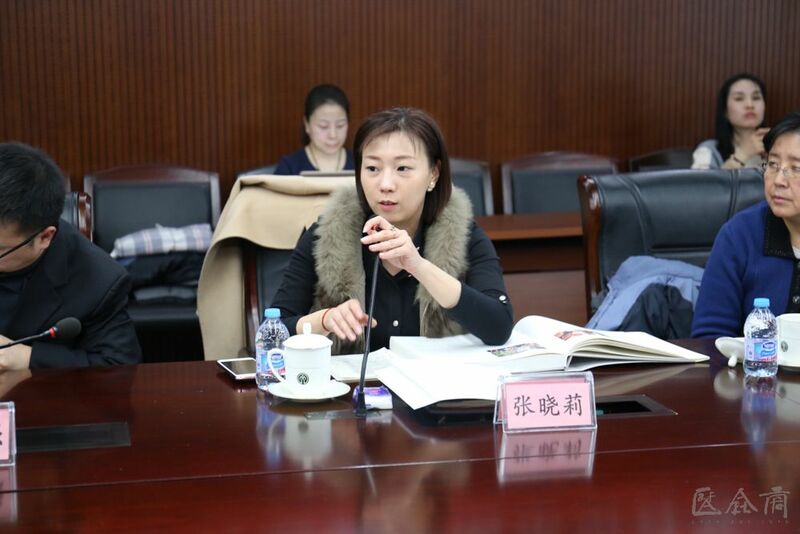 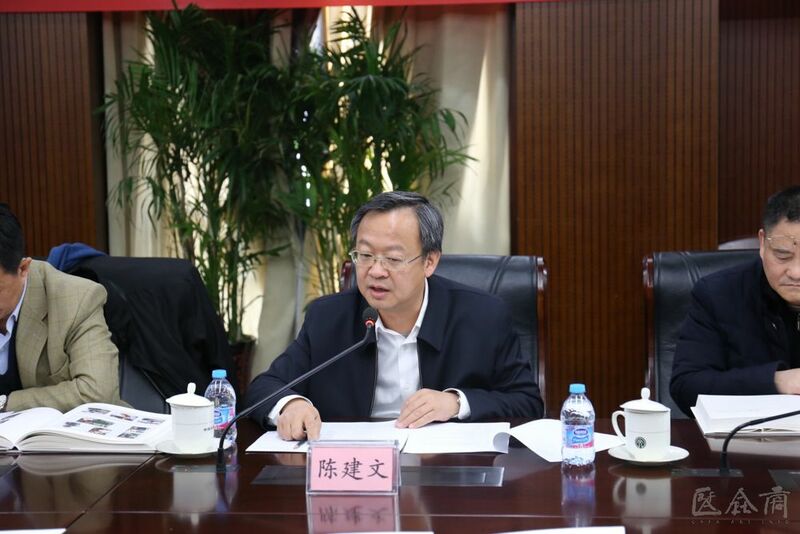 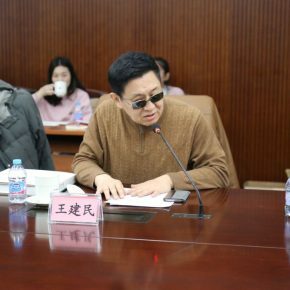 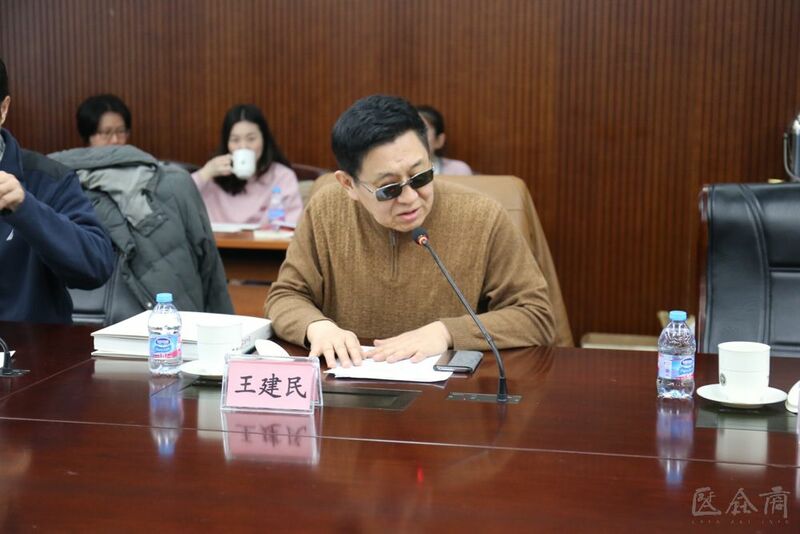 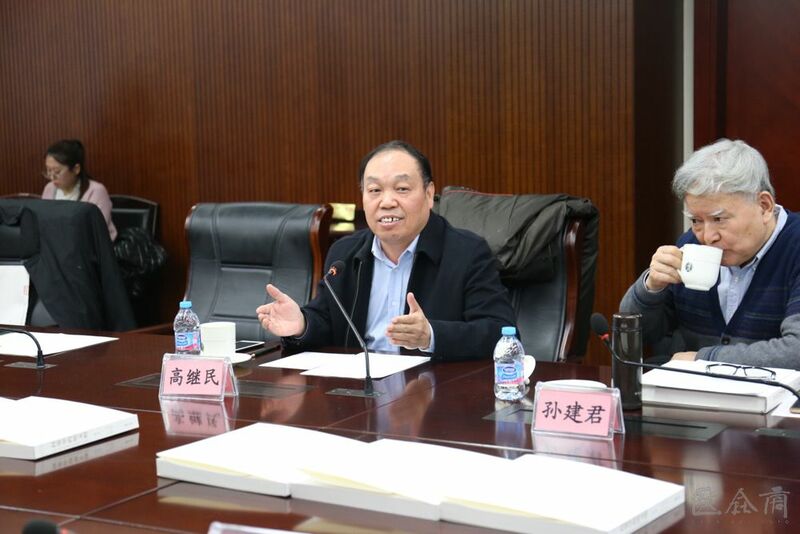 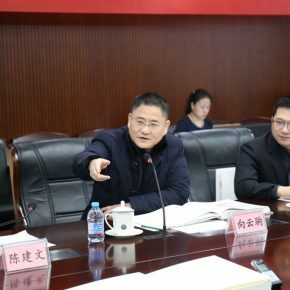 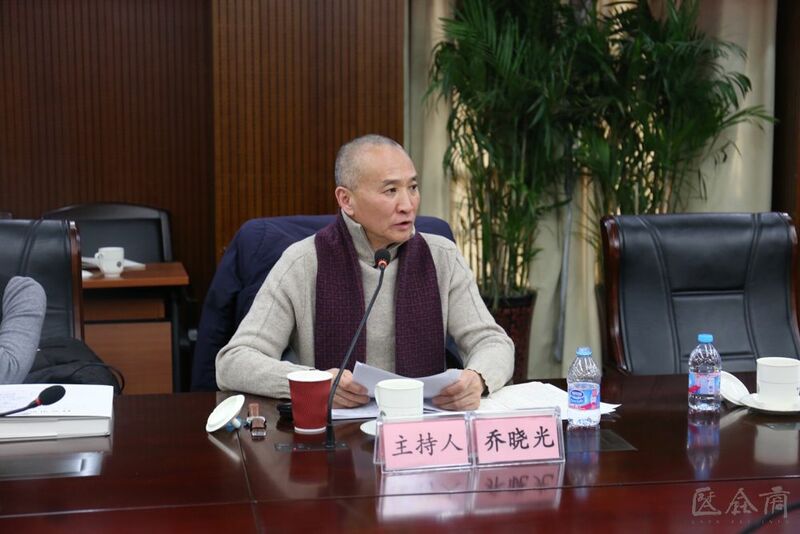 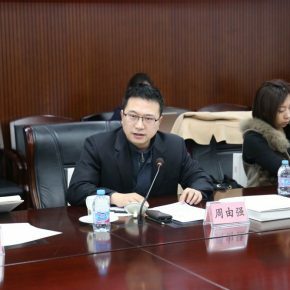 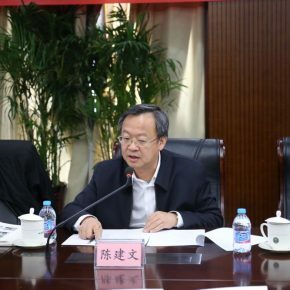 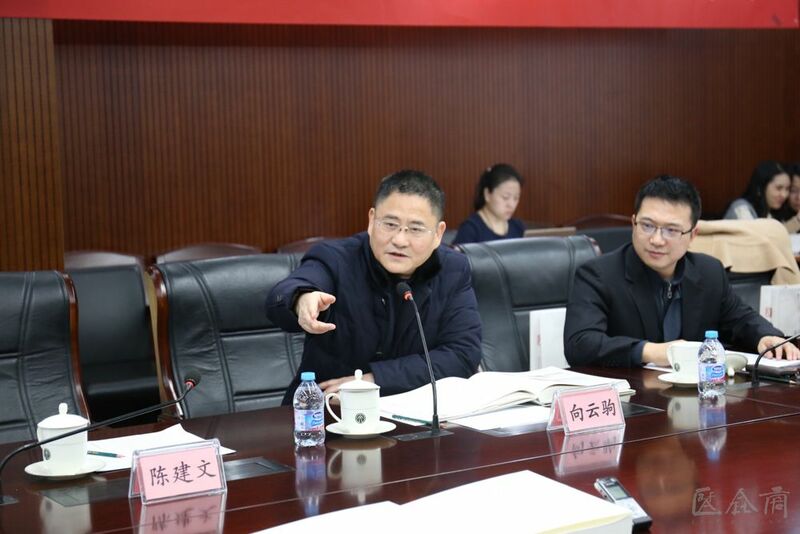 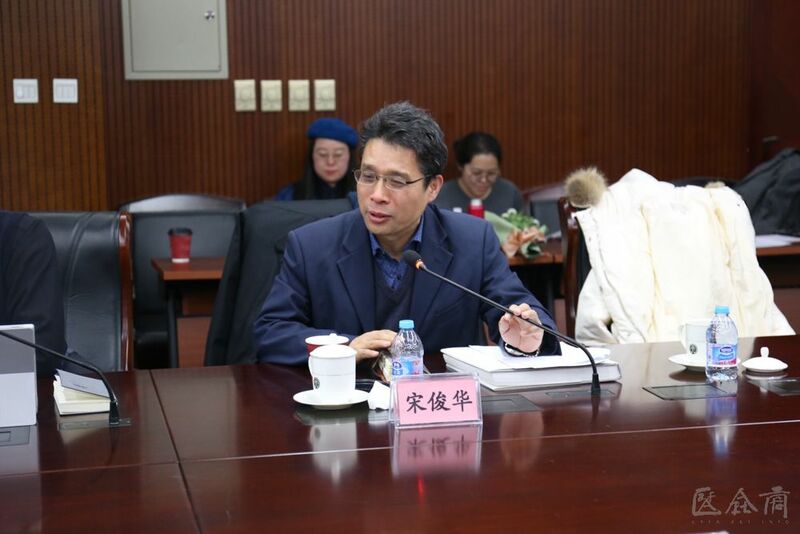 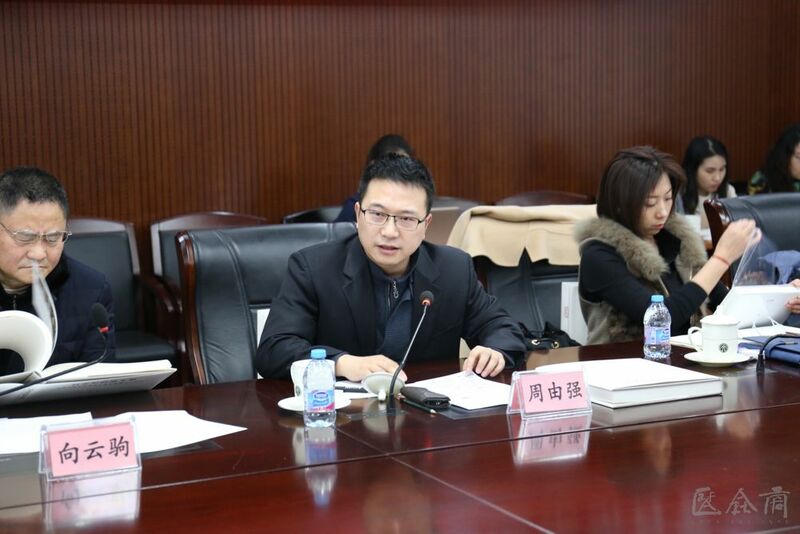 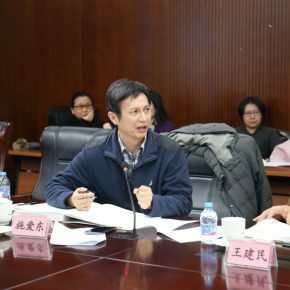 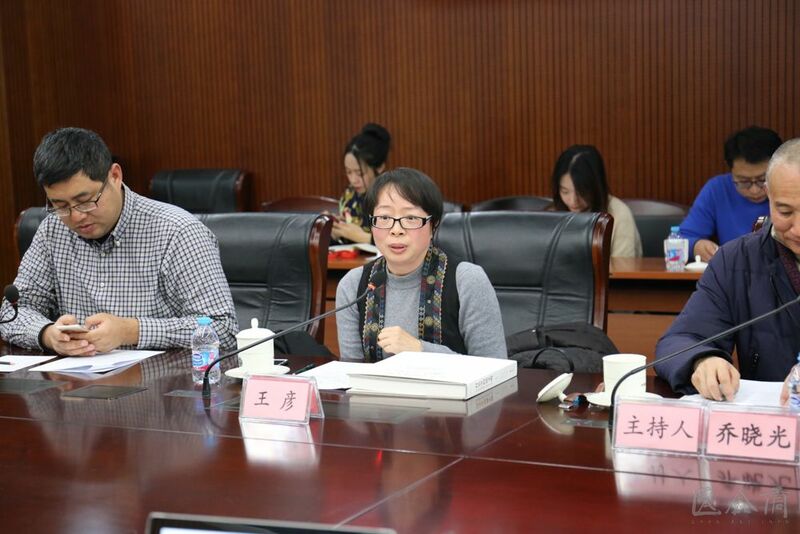 It is chaired by Prof. Qiao Xiaoguang. 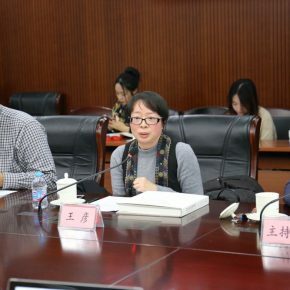 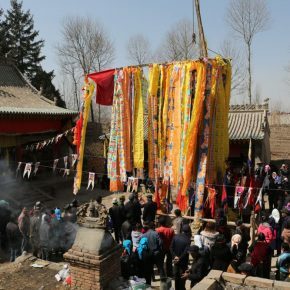 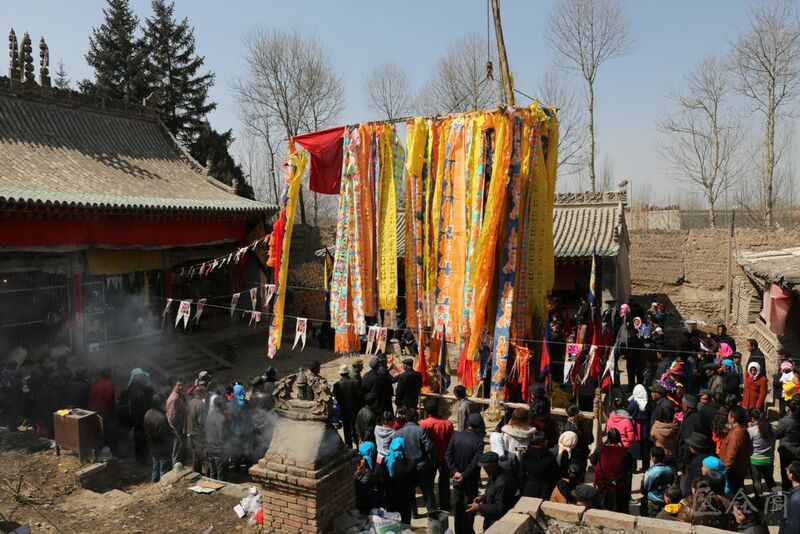 The organizer of the event introduced the idea of ​​conducting a survey and research on traditional paper-cut art of ethnic minorities in China which originated when China declared that Chinese paper-cutting was an intangible cultural heritage of the world in 2001. 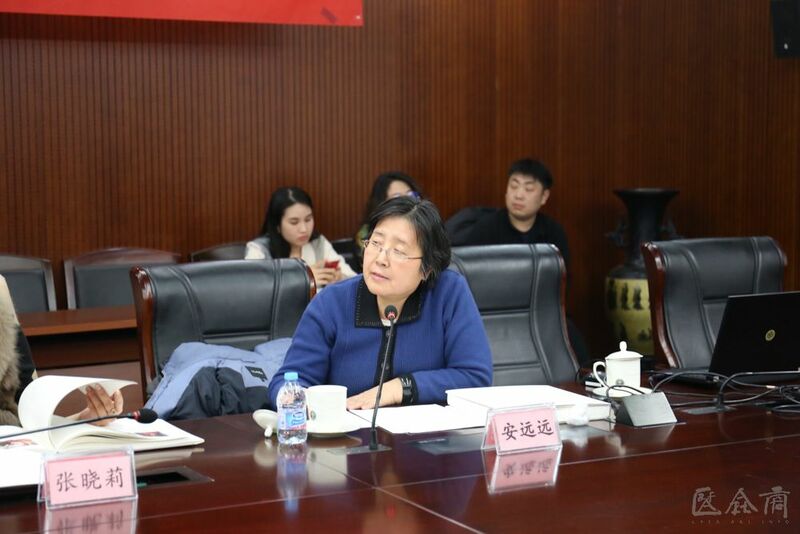 Since the Center of Intangible Cultural Heritage at CAFA was established in May 2002, it has conducted a field investigation into Chinese paper-cuts for the application of World Intangible Cultural Heritage. 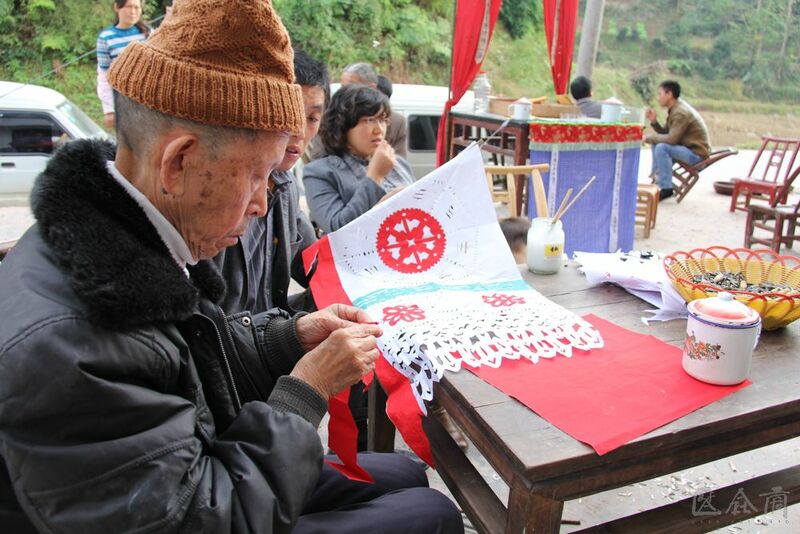 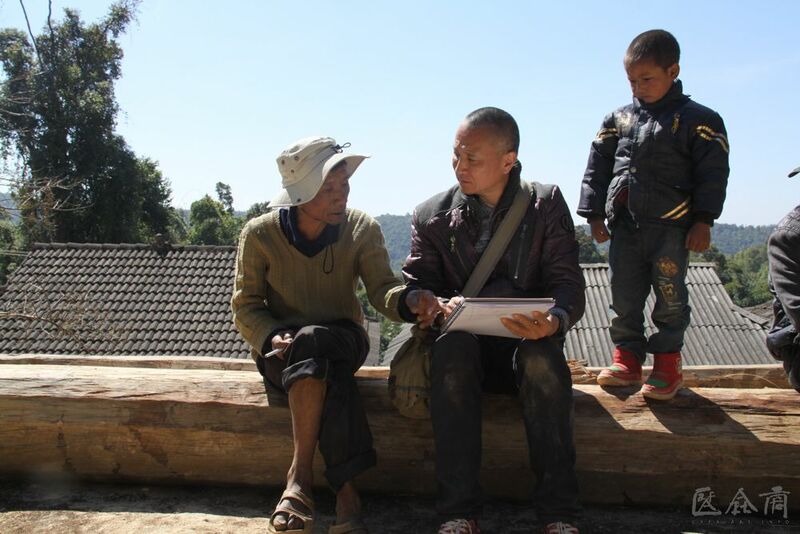 During the fieldwork, ethnic minorities such as the Miao, Manchu and Dai ethnic groups were found to have the tradition of paper-cutting art and some representative inherited ideas were also found. 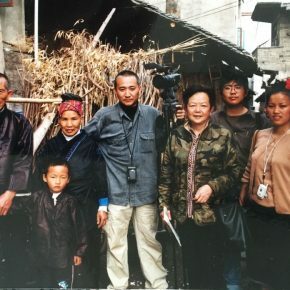 Along with this, the application to be included as World Heritage was advanced along with the research & teaching, the discipline construction of intangible cultural heritage of CAFA, Qiao Xiaoguang and the team members have strengthened and expanded the special investigations on the paper-cutting status of Ewenki, Bai, Sui and Dai peoples with this work. 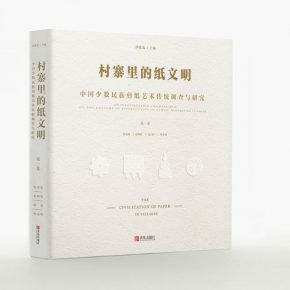 Published by “Qingdao Publishing House”, “The Civilization of Paper in Villages” considers the study of the living culture in villages as the main method, selecting representative ethnic communities from each ethnic group to conduct a field survey and the field investigation texts of 29 ethnic minorities are compiled into a book, showing the tradition of paper-cutting as a lively culture of different ethnic villages. 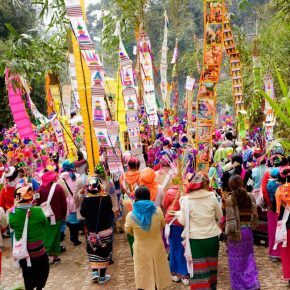 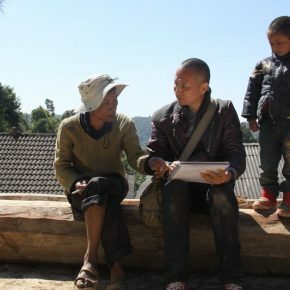 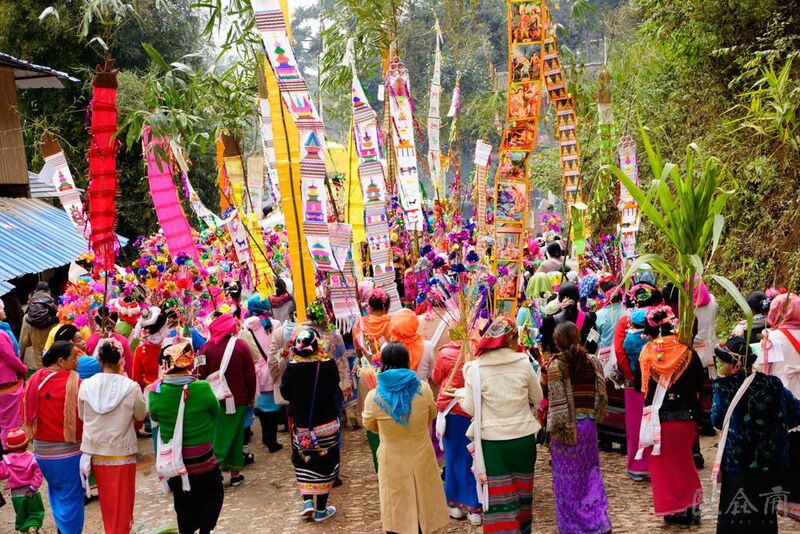 Volume I which has been published presents the introduction and research on the paper-cut situation of the four ethnic minority groups of Lahu, Blang, Dai and Hani. 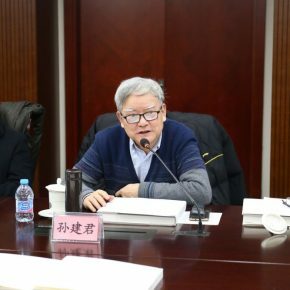 The other seven volumes have completed the typesetting work and the final proofreading is scheduled to be completed and published in the first half of 2018. 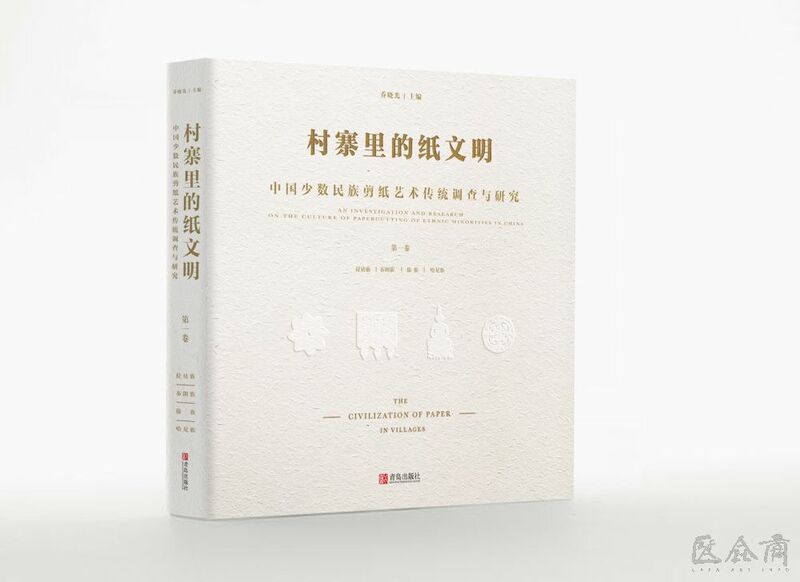 It consists of eight volumes, a total of more than 100 million words, with nearly 10,000 images. 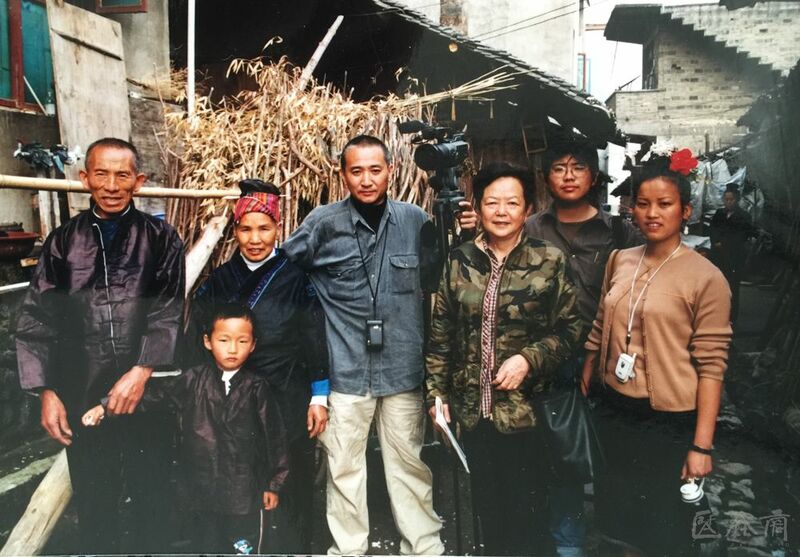 These texts and photos are the result of fieldwork conducted by Prof. Qiao Xiaoguang and his team, which are all original. 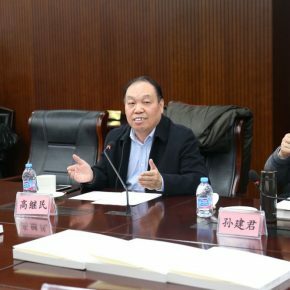 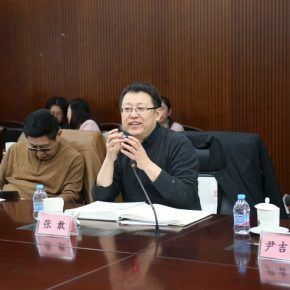 Prof. Qiao Xiaoguang also said it would complement and finish the study & book publishing of the paper-cutting art of the remaining minorities in the future, when he was interviewed by CAFA ART INFO. 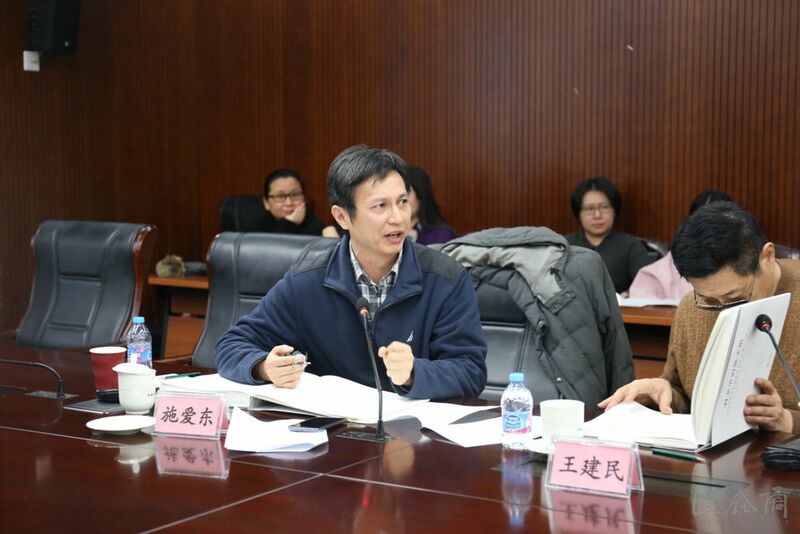 This set embodies the efforts of the third-generation paper-cutting researchers as represented by Prof. Qiao Xiaoguang and the fourth-generation paper-cutting researcher guided by Prof. Qiao Xiaoguang, regardless of the manpower cost invested or the time & energy spent. 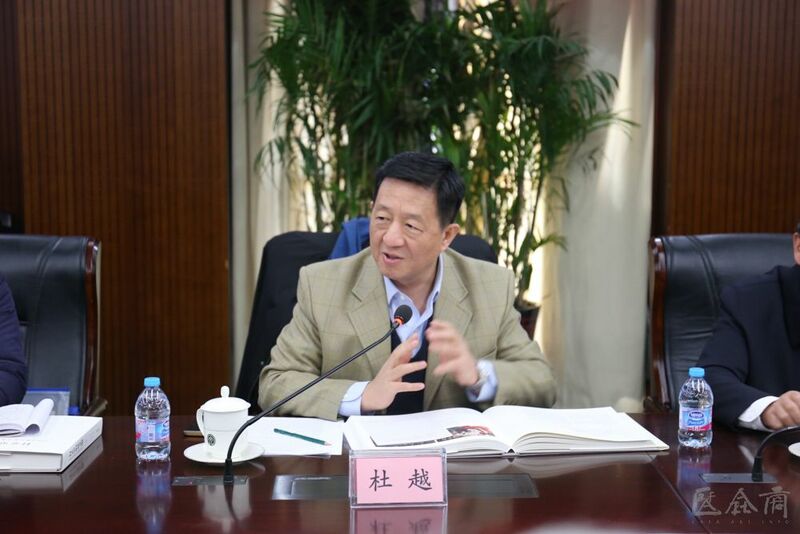 Song Junhua, Head of the Center of Intangible Cultural Heritage of Sun Yat-sen University, believed that the paper-cutting and the living environment of paper-cutting, the living conditions of paper-cutting in ethnic minority villages and its relationship with life and beliefs were exposed in the book, and people could see the richness and cultural connotation of paper-cutting of the minorities in this set. 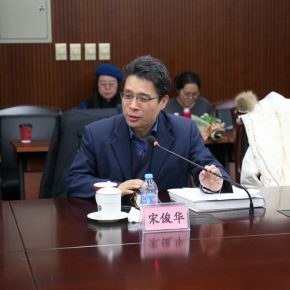 Zhou Youqiang, Deputy Secretary General of China Literary and Art Critics Association, and Deputy Director of Literature and Art Criticism Center of China Federation of Literary and Art Circles, directly commended it and said Prof. Qiao Xiaoguang and his team had took field investigations for 33 ethnic groups for 16 years, which was legendary and worth our respect. 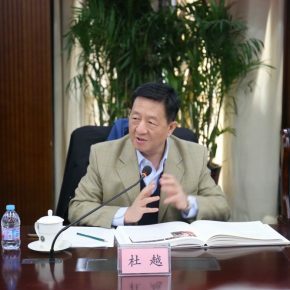 In a sense, this book also offered a paradigm and theoretical thinking for later researchers and it was truly epoch-making. 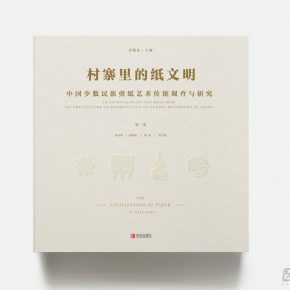 It can be said that the publication of this set enables us to see the diversity of paper-cut art of ethnic minorities and supplements the single cultural vision of Han-dominated paper-cutting in the past. 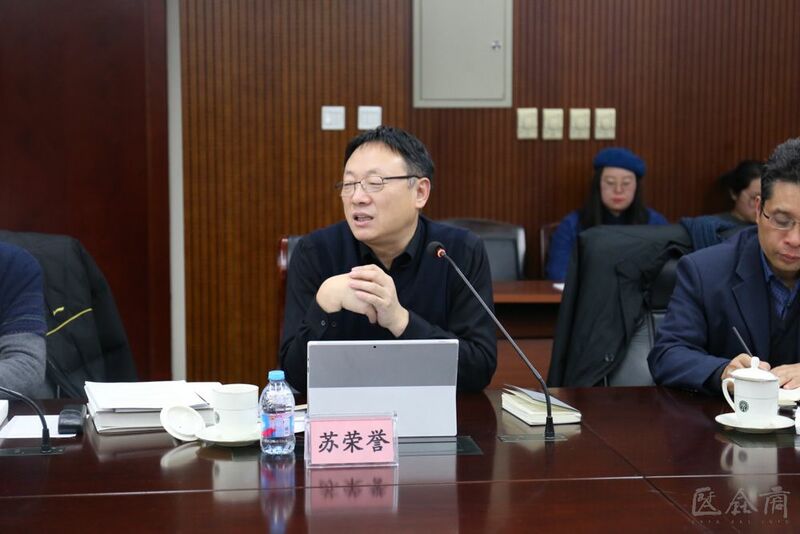 Prof. Qiao Xiaoguang said “after spending 16 years working with my students, graduates and school-based, who were all volunteers, travelling to the boundaries of the country we now give the world an accurate record of the investigations”, when he was earlier interviewed by CAFA ART INFO. 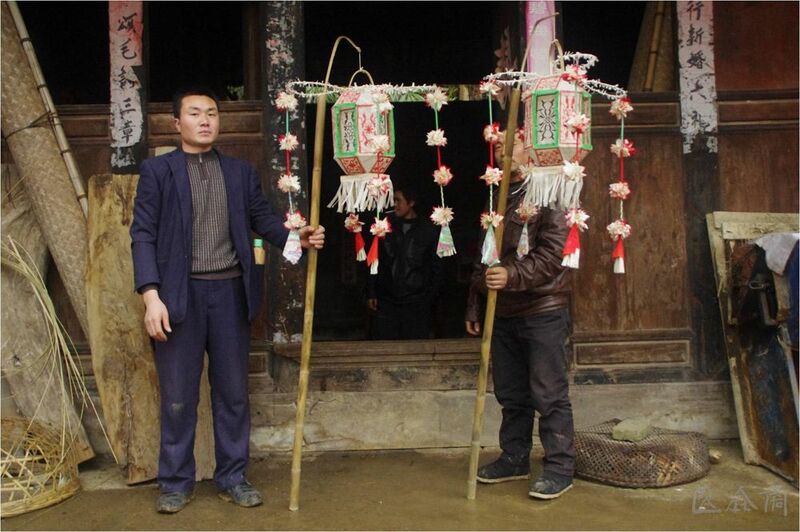 And the publication of this set is the best report for the world.